My kids absolutely love yogurt. I knew that it was a favorite food of theirs because within two days of going to the grocery store, all my yogurts were GONE (is it just in my house..?!). 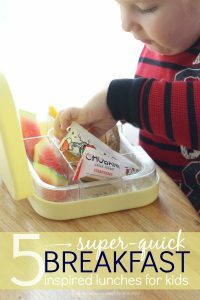 Although my kids love having yogurt as an afternoon snack, I wanted to find some new, fun yogurt hacks that would spice up the way to my kids eat yogurt every day. We are so excited to try these! 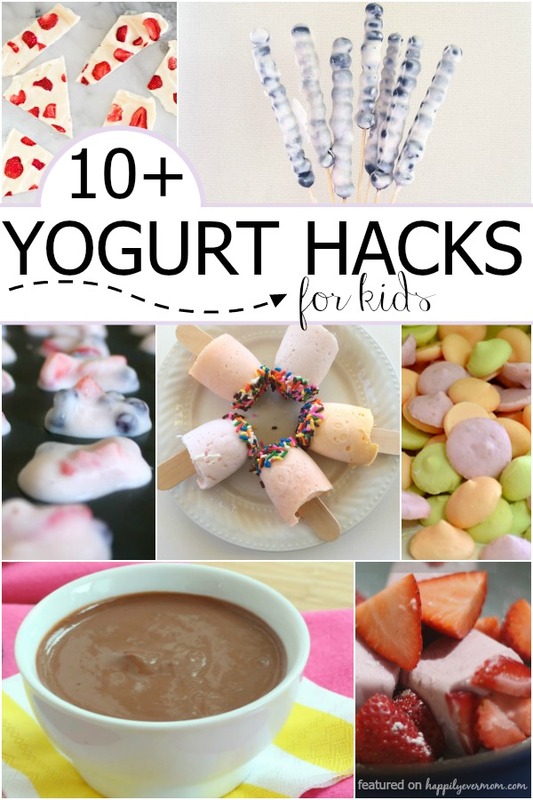 Or, try strawberry yogurt bark ~ I’m dying to try this one! 🙂 | Hello, Wonderful! Make Frozen Yogurt for a date night with the kids (or for you!). Fill mason jars with yogurt, fruit, and a a ziplock bag of granola on top. 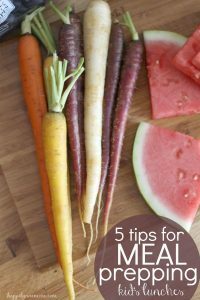 Breakfast or snack will be ready to go in the morning! We run yogurt through our favorite ice cream maker (affiliate link) to set up our own frozen yogurt shop ~ my kids love getting to put their own toppings on! Try making an American Flag for healthy party food. Experiment mixing honey with plain greek yogurt. Let kids figure out when it’s just sweet enough and let them fall in love with the natural sweetness!